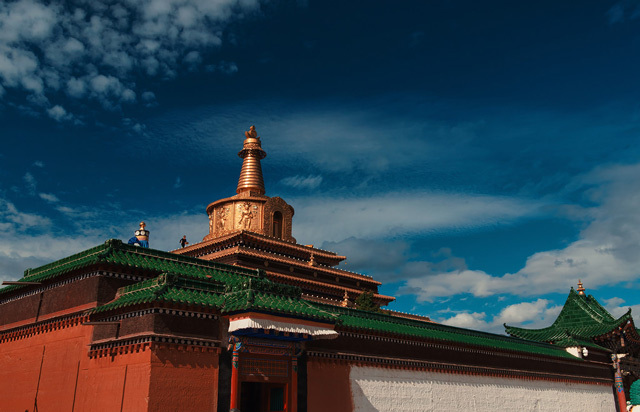 It's one of the six grand monasteries in Tibetan area. 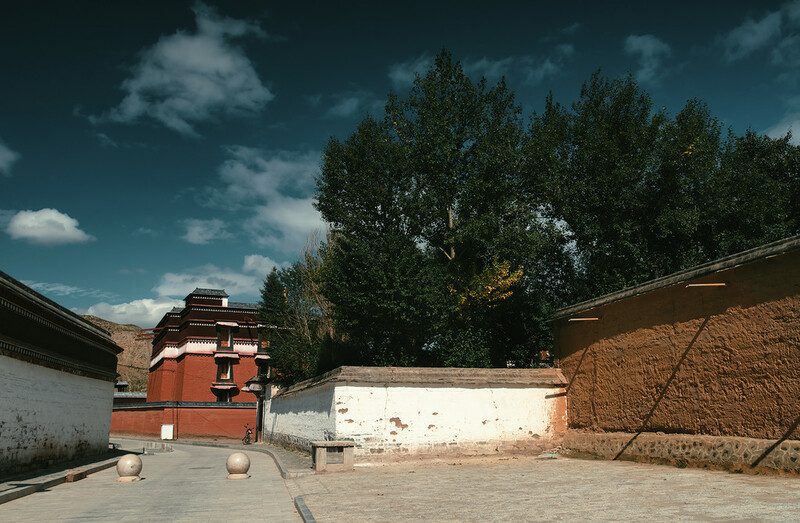 Dating back to 1709, Labrang Monastery used to have 108 temples and 4000 monks. It's not open to visitors till 1980. As one of the six great monasteries of the Gelug school of Tibetan Buddhism, its formal name is Genden Shédrup Dargyé Trashi Gyésu khyilwé Ling. 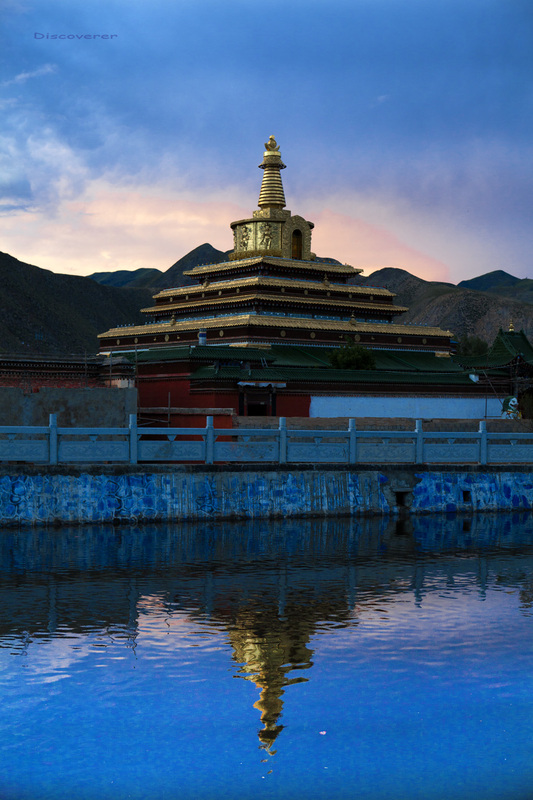 Labrang is located in Xiahe County, Gannan Tibetan Autonomous Prefecture, Gansu, in the traditional Tibetan area of Amdo. 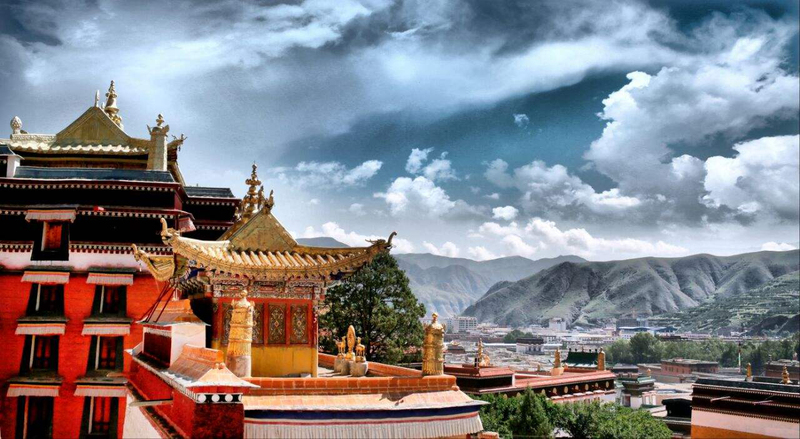 Labrang Monastery is home to the largest number of monks outside the Tibet Autonomous Region. 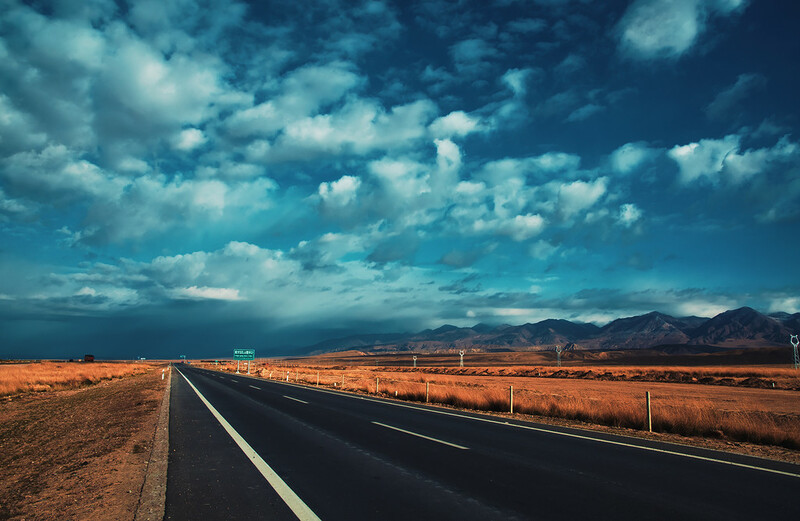 Xiahe is about four hours by car from the provincial capital Lanzhou. In the early part of the 20th century, Labrang was by far the largest and most influential monastery in Amdo. It is located on the Daxia River, a tributary of the Yellow River. The monastery was founded in 1709 by the first Jamyang Shêpa, Ngawang Tsondru. 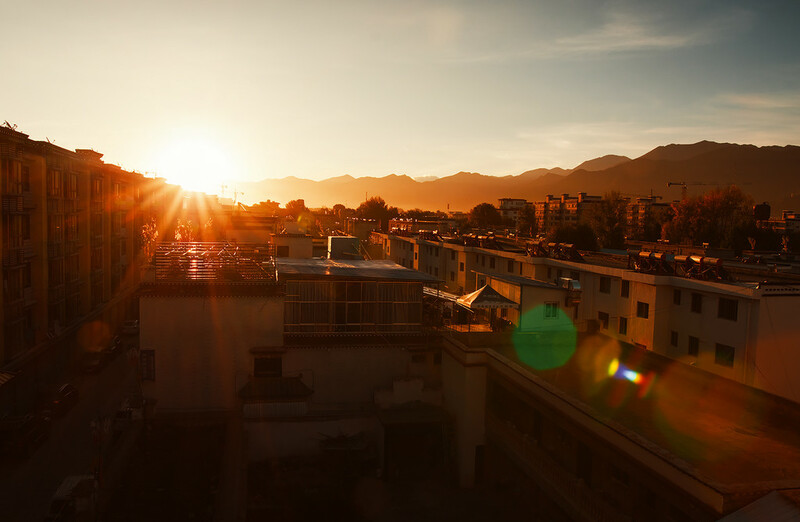 It is Tibetan Buddhism's most important monastery town outside the Tibetan Autonomous Region. 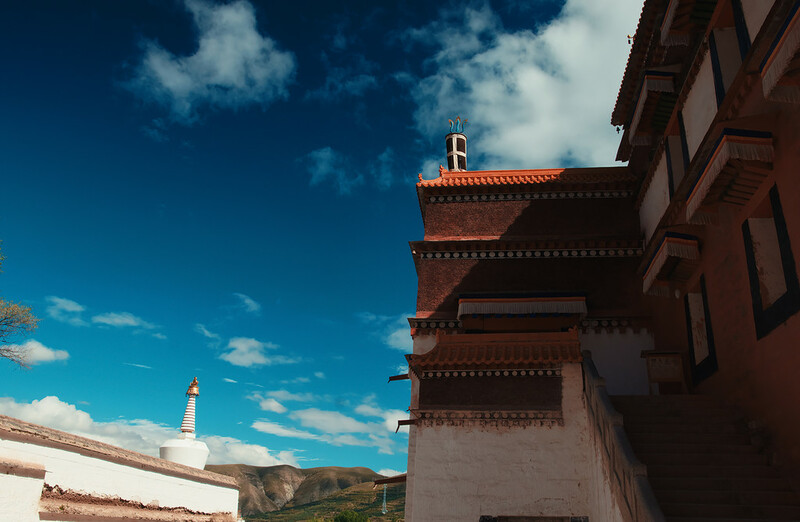 Labrang Monastery is situated at the strategic intersection of two major Asian cultures—Tibetan and Mongolian — and was one of the largest Buddhist monastic universities. In the early 20th century, it housed several thousand monks. 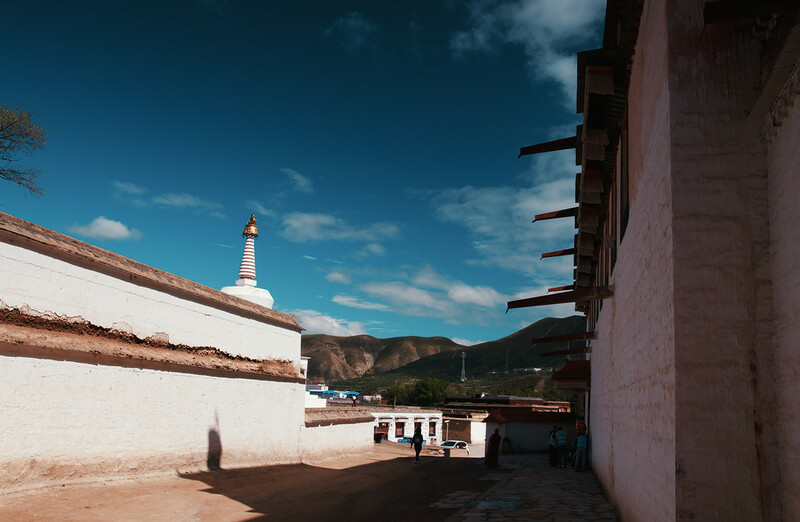 Labrang was also a gathering point for numerous annual religious festivals and was the seat of a Tibetan power base that strove to maintain regional autonomy through the shifting alliances and bloody conflicts that took place between 1700 and 1950. In April 1985 the Assembly Hall burned down. It was replaced and the new building was consecrated in 1990.